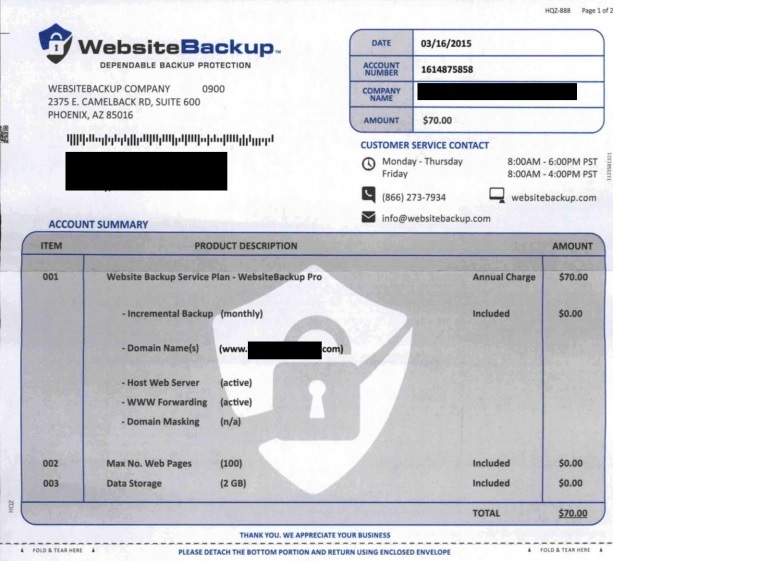 This websitebackup.com scam was sent to a client of ours and luckily they asked what the bill was about instead of blindly just paying the $70 invoice. 1. Google! Simply type “company name” and “scam” into the Google search box. 2. Ask your current IT consultants if they are familiar with the company and/or the invoice. 3. Contact the company and ask who authorized the purchase or service agreement. Request proof of this authorization.